The XXII Winter Games in Sochi, Russia, are said to have cost around US$50 billion, which makes them the most expensive Games to date. The bill includes many new buildings and the first ever Winter Olympic Park, planned by stadium designers Populous, who also created the Fisht stadium – the venue for the opening and closing ceremonies. But the lack of big-name architects is noticeable, as is the fact that most of the venues are designed for re-use; some will even be dismantled and moved elsewhere after the Games. Tweet us your favourite Olympic venue of all time @StadiumBusiness – we’d love to know what you think! 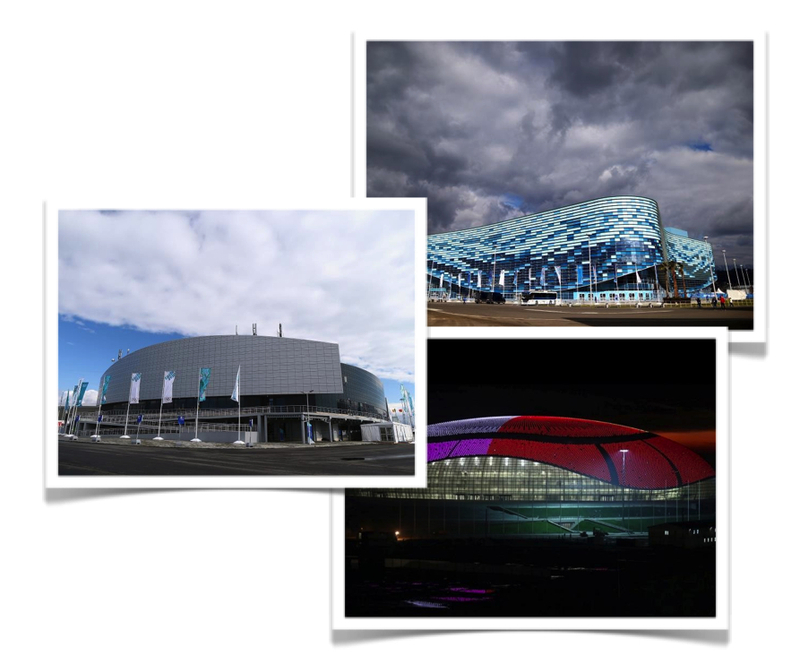 How do Sochi 2014’s venues compare? DO YOU WORK IN THE STADIUM BUSINESS? Now in our fifth year, the Summit heads to Wembley, London, for its biggest and best meeting yet!